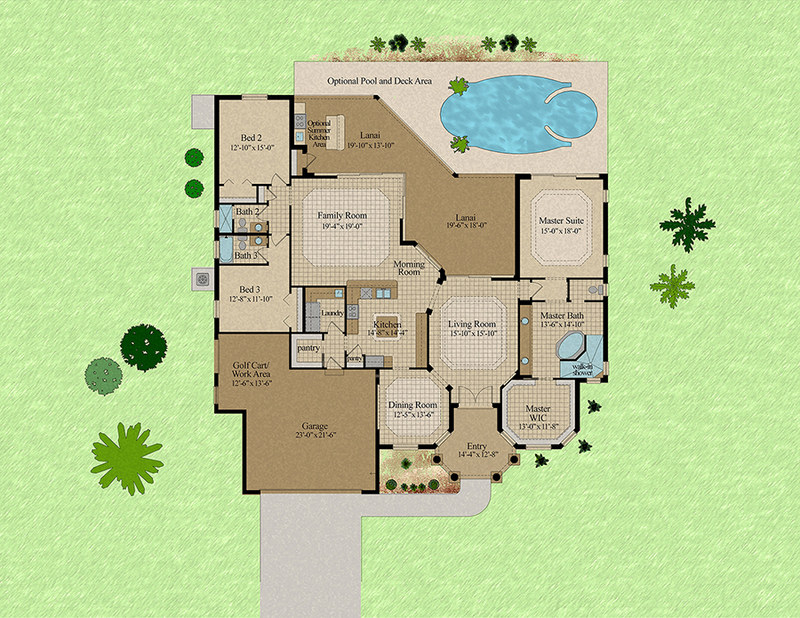 The La Concha Model is an upscale home made for entertaining. A three car garage, 12’ ceilings in the Foyer, Dining, and Living room and ten foot ceilings elsewhere, crown moldings, eight foot tall solid core doors, fine wood cabinetry, stainless steel appliances, granite countertops, insulated impact glass windows and doors, stucco ceilings outside and tile floors everywhere but the bedrooms. A Master suite that you will never forget. This home is available for viewing. *requires a slightly larger than normal lot.